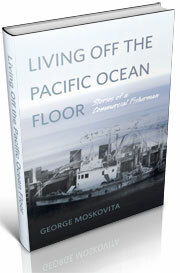 California played a pivotal role in the development of Oregon’s marine fisheries. 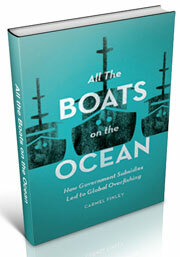 Oregon’s pilchard fishery and the albacore tuna fishery were both influenced by California fishermen and their boats. And so was the development of the pink shrimp fishery. 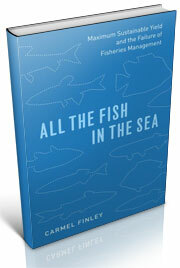 I’ve been reading the Oregon Fish Commission’s Research Briefs. The December, 1952 issue has a paper by Alonzo T. Pruter and George Yost Harry, Jr. They report that fishing for pink shrimp began as early as 1869 in San Francisco Bay, and that shrimp were harvested commercially in Alaska, British Columbia, and Puget Sound. But Washington and Oregon did not develop shrimp fisheries, although there were reports of catches by research vessels and by some otter-trawl fishermen. But were shrimp available in commercial quantities between Point Conception and the Columbia River? What strikes me about this account is the collaboration among the scientists, as well as a fisherman, Hugo Lillienthal, who volunteered his vessel, the Nel Ron Die, for the last two cruises off Coos Bay. 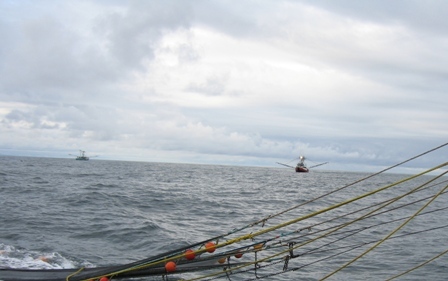 It took more research before fishermen started a pink shrimp fishery off Oregon, but it is one of the healthiest sectors of the commercial fishing economy. Alonzo T. Pruter and George Yost Harry, Jr., “Results of Preliminary Shrimp Explorations off the Oregon Coast,” Oregon Fish Commission, Research Briefs, 4 (1), December, 1952, 12-24. This entry was posted in Albacore tuna, California sardines, Carmel Finley, fisheries science, Fishing, History of Science, History of Technology, Maritime History, Ocean fishing, Oregon pilchards, Pacific Fishing History Project, World History and tagged Commercial fishing. Bookmark the permalink.